1068-1070 Pape Ave. was built in the 1970s. 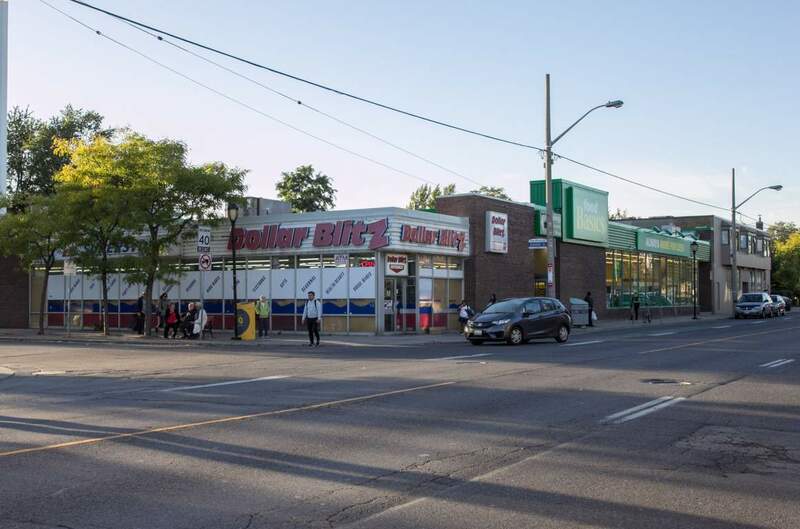 This property is comprised of approximately 25,000 square feet of retail space. 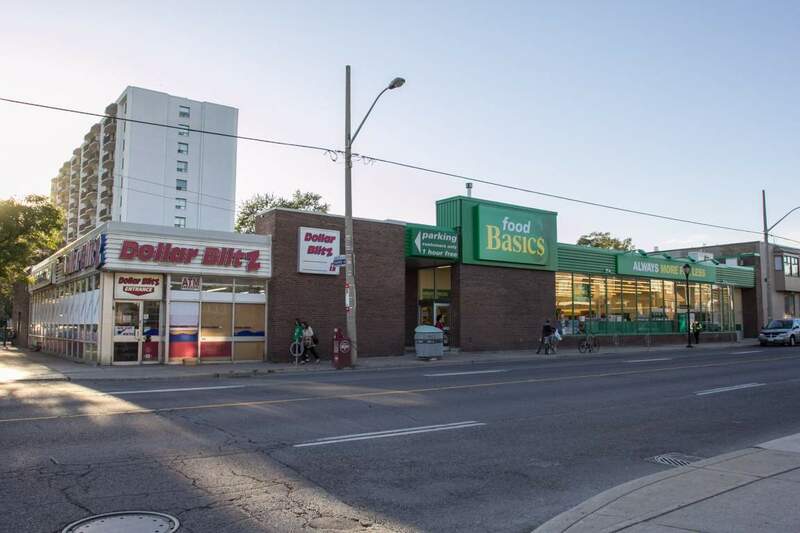 The site is occupied by two tenants (Food Basics and Dollar Blitz) and there is underground parking for 64 vehicles. It a single-storey building, which is located in the Pape/Cosburn area.